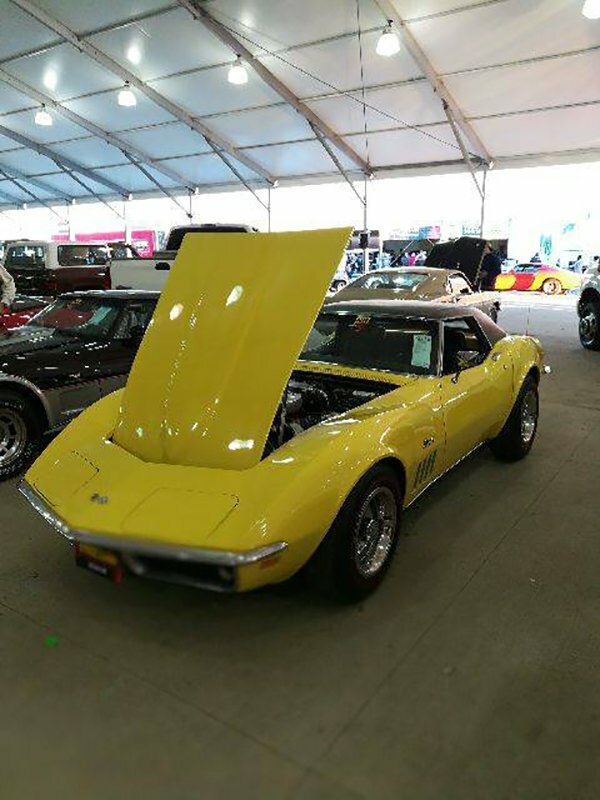 At this point in time, there are 279 Corvettes that will be offered during the Mecum Auction that is currently going on in Kissimmee Florida (Orlando Area). 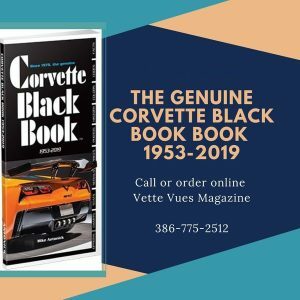 Today (Sunday, January 7, 2018) there are eight Corvettes. 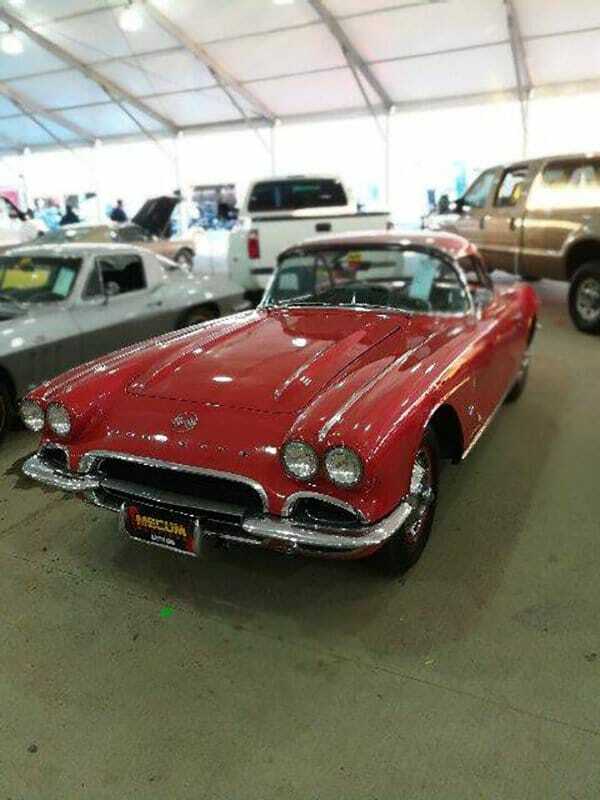 One of the interesting ones is a 1963 ZO6 Corvette. It is one of 199 produced. 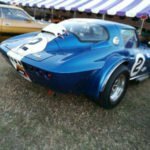 It had a body-off restoration in 2015 and has been with its current owner for 48 years with records dating back to 1970. 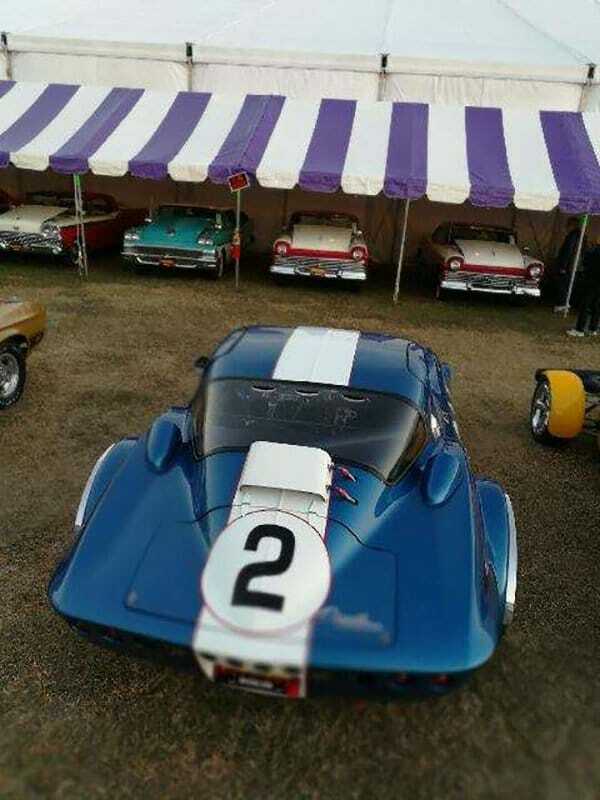 It’s first five years it spent as a racer. 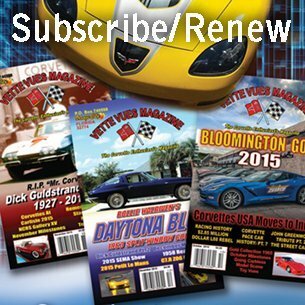 Vette Vues Magazine has a vendor booth at the Mecum Kissimmee Auction. 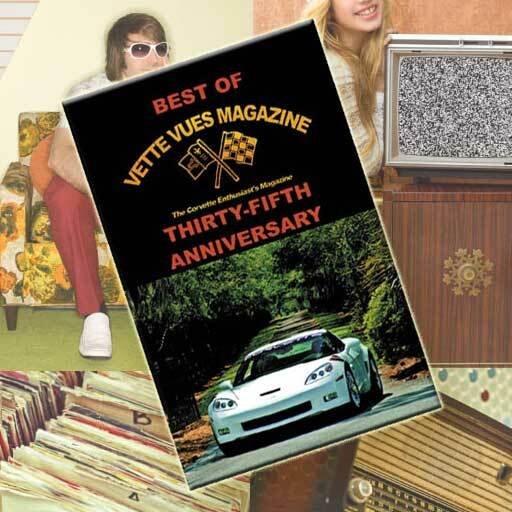 If you haven’t picked up a copy of Vette Vues recently, stop by and get a free sample. 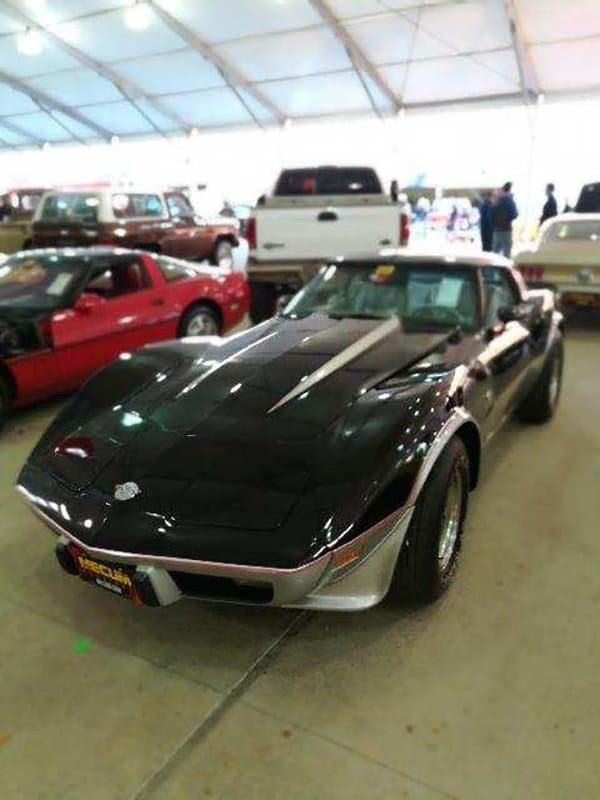 Yesterday we were able to snap a few shots of some of the Corvettes and will give you updates as the auction progresses. Our first group of photos is from the Ray Hott Collection which goes across the block Tuesday, January 9. It is offered at NO RESERVE! 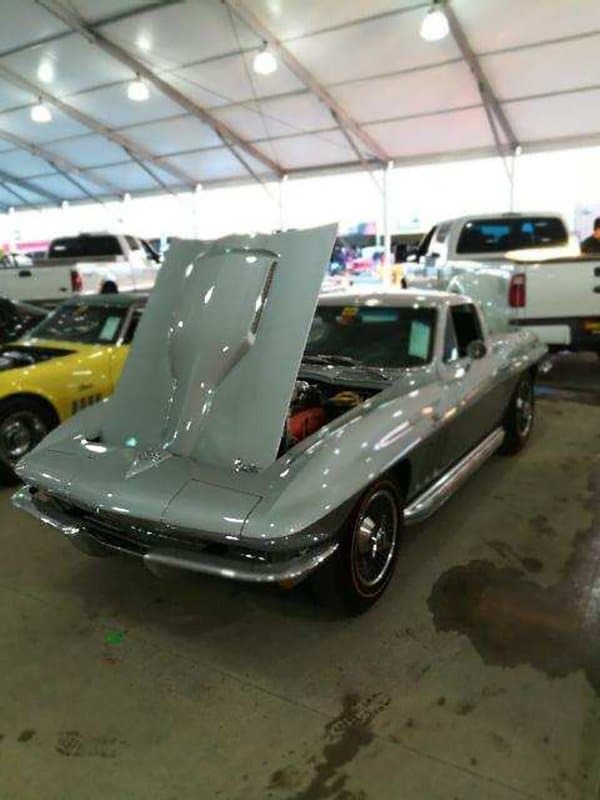 1966 Silver with Black interior Chevrolet Corvette Coupe with Matching numbers 427/425 HP engine. 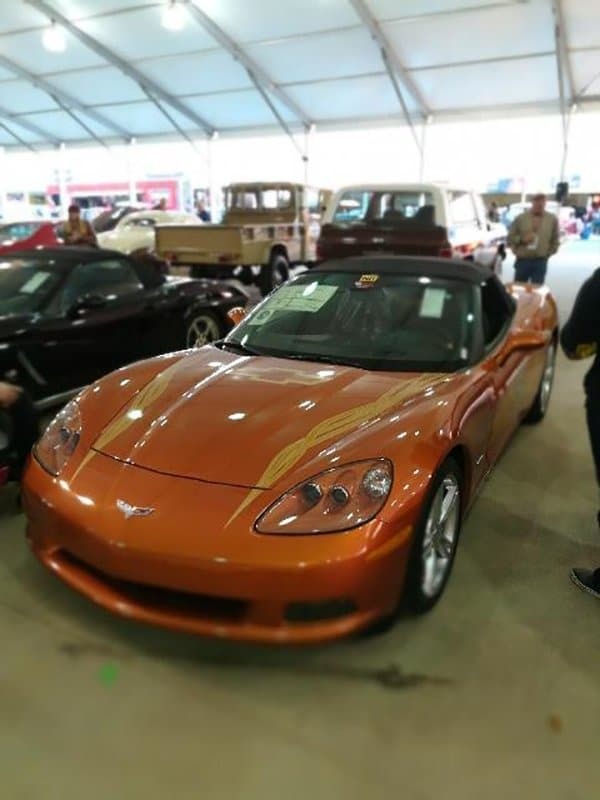 Our next two Corvettes will be auction Friday, January 12, 2018. 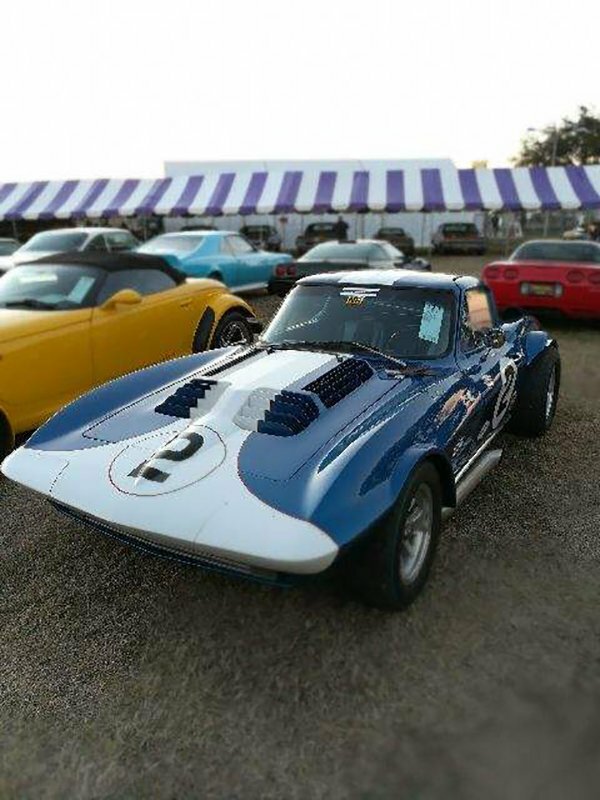 The last Corvette we took photos of is 1963 Chevrolet Corvette Grand Sport Sting Ray Coupe Replica. 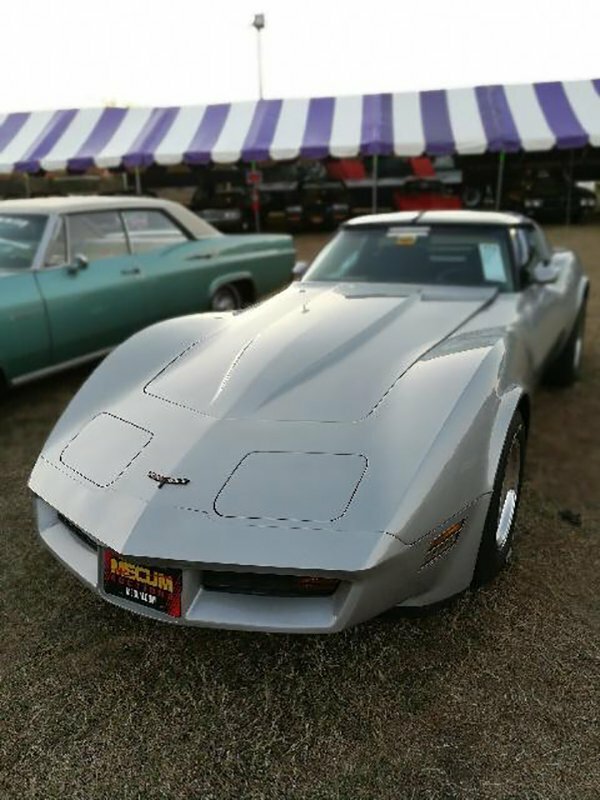 This will be offered on Saturday, January 13, 2018, at the Mecum Auction in Kissimmee Florida. 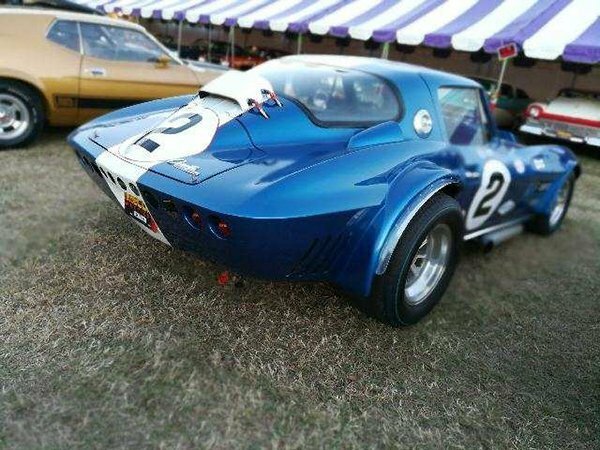 1963 Corvette Grand Sport replica is Serial No. 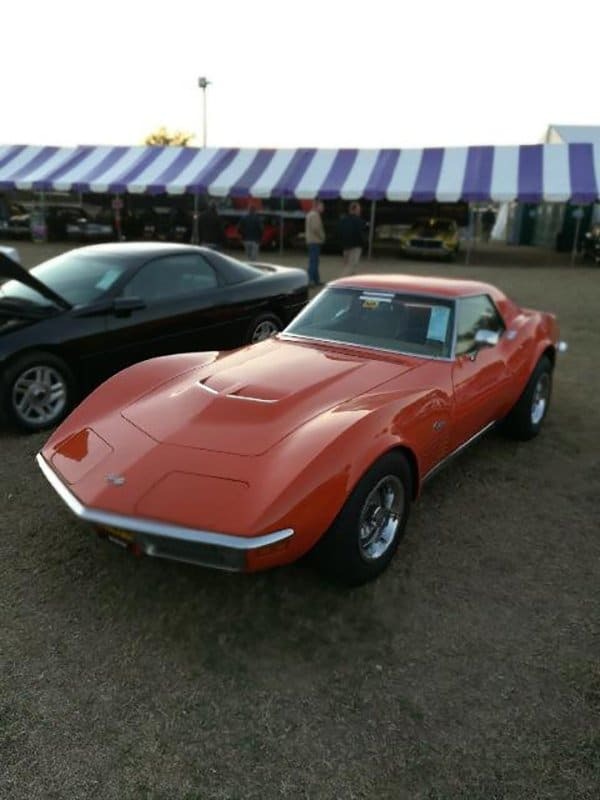 003 of a series of 136 eventually built by D and D.
Friday eighteen Corvettes went across the block. Eleven sold, and seven the Bid Goes On. Of them, the one that struck me was LOT J115.1 which is a 1963 ZO6/No3 that you can still put in your stall! 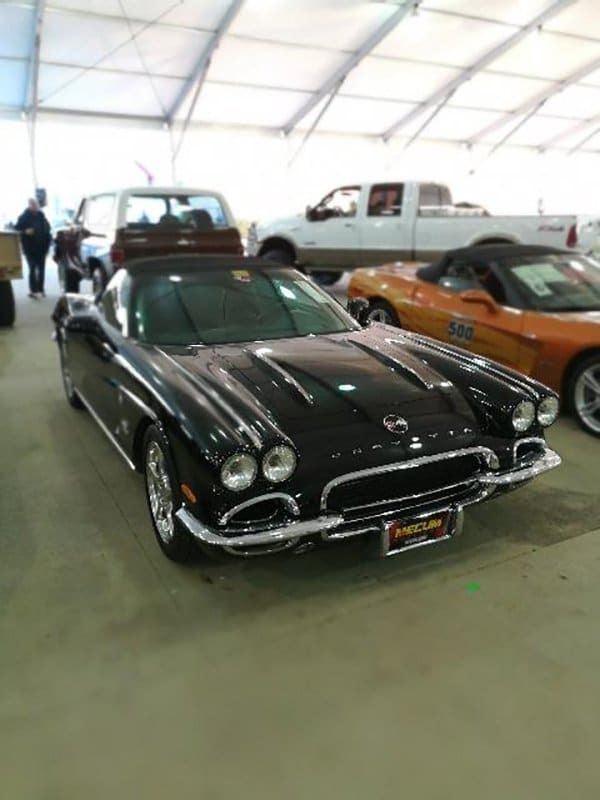 It was certified in 2002 with a Bloomington Gold Silver. It looks like a very nice car! 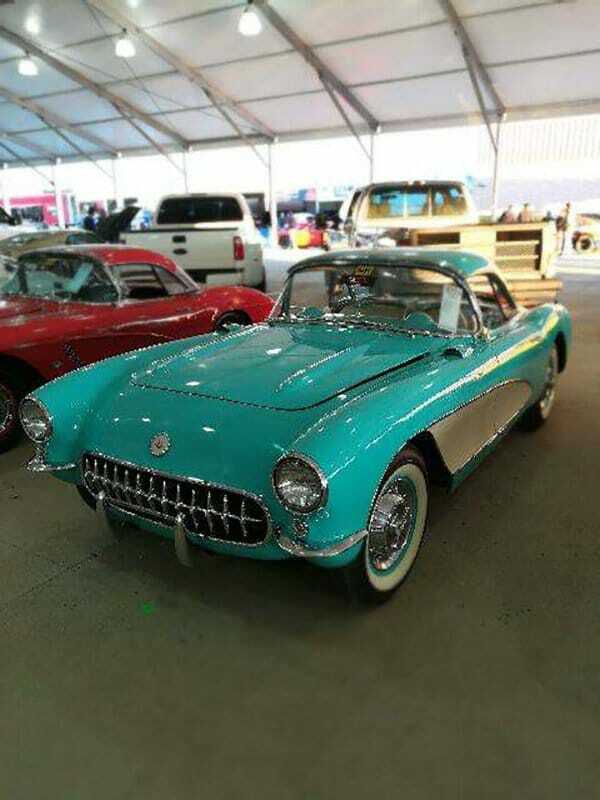 Saturday twenty-seven Corvettes were offered, twenty-two sold, and five are still available. 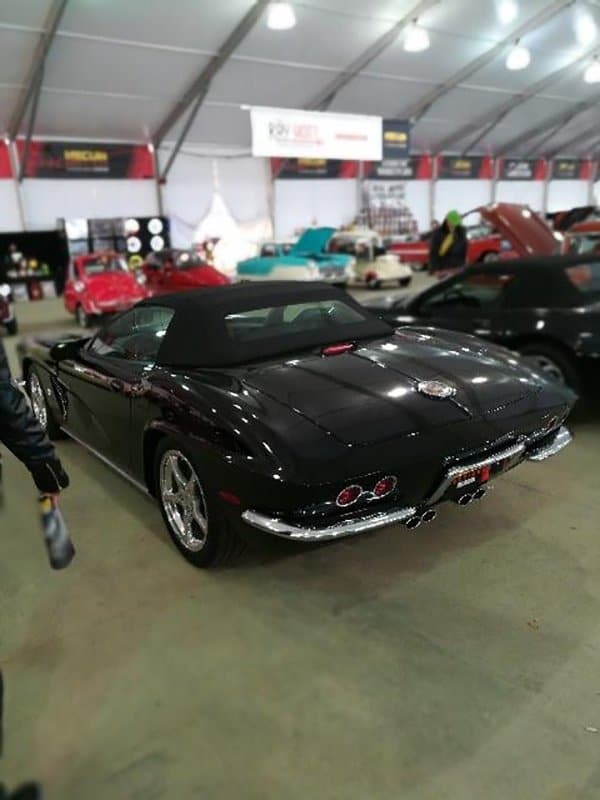 Tags: Corvettes @ Mecum Auction Kissimmee 2018, Corvettes at Auction	.